related activities with Kai. Although I have learned to love and enjoy the sport through Kai and his friends (over the past 8 years), I have absolutely no interest in climbing personally. I’m often asked why I invest most of my resources in climbing, if I have no personal interest. My answer: At first climbing was simply a cool activity to keep Kai busy and tire him out by the end of the day. He was an extremely active kid. Eventually my reasons for investing in climbing became much more strategic. 1. Setting Goals, Developing Plans to Achieve Them, and Having the Discipline to Stick to the Plans. Starting at 7, Kai’s coach made him set goals at the beginning of each season. They would discuss the goal and then establish a program to accomplish them. Since his coach was six hours away, I had to work with him in the gym each day to implement the plan. As Kai would gripe and complain about his training program being too rigid, I would agree and suggest that he downgrade his goal so that we could ask his coach to reduce his training program. Being the stubborn kid that he was, he refused to lower his goal. Being the stubborn mom that I was, I told him that I would not continue paying for his professional coaching if he did not follow the training program designed. I constantly reminded him that he was in complete control. His goal determined the work required to reach it. Seven years later, Kai still sets goals at the beginning of each season. 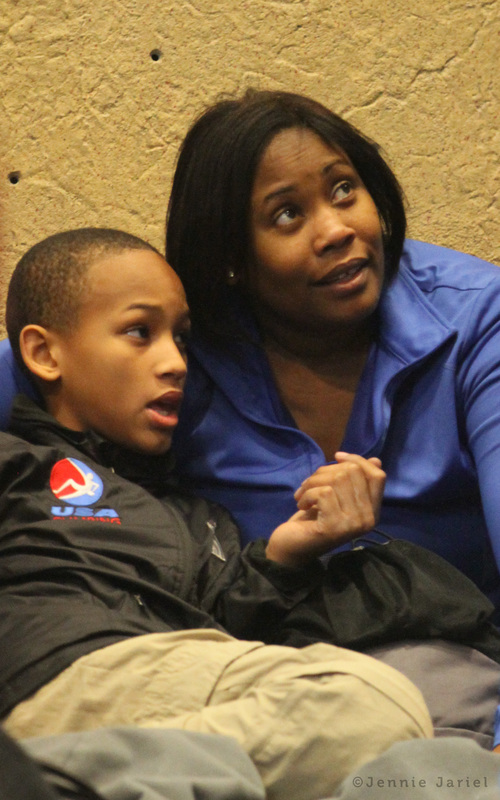 He now actively participates in designing programs and competition schedules to meet his goals. I am in more of a supportive role, instead of being the enforcer. Enjoying some downtime in Rifle, CO. This lesson was a rough one to teach. 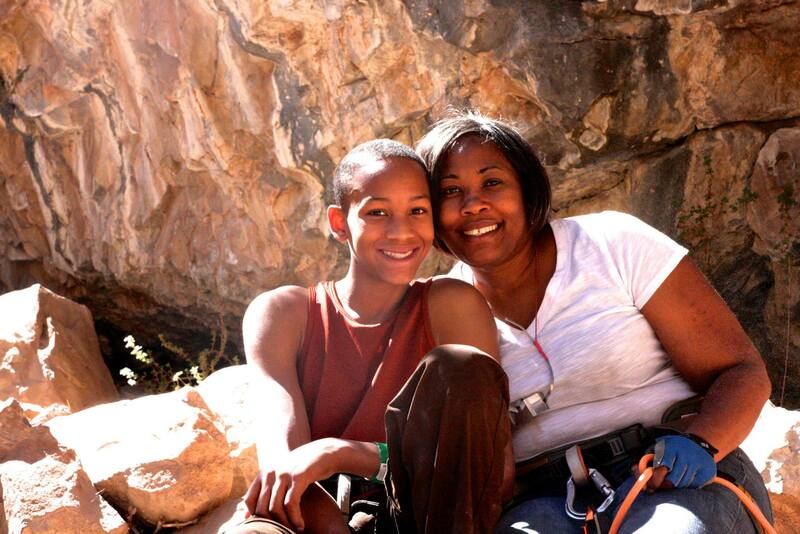 Anyone that trained or competed with Kai his first few years should have vivid memories of him sitting on the floor (or hanging on the rope) crying uncontrollably because he could not complete a climb. THAT BEHAVIOR DROVE ME CRAZY. Each time, I would wait for him to calm down, and then force him to walk back through what happened and helped him design a new approach. 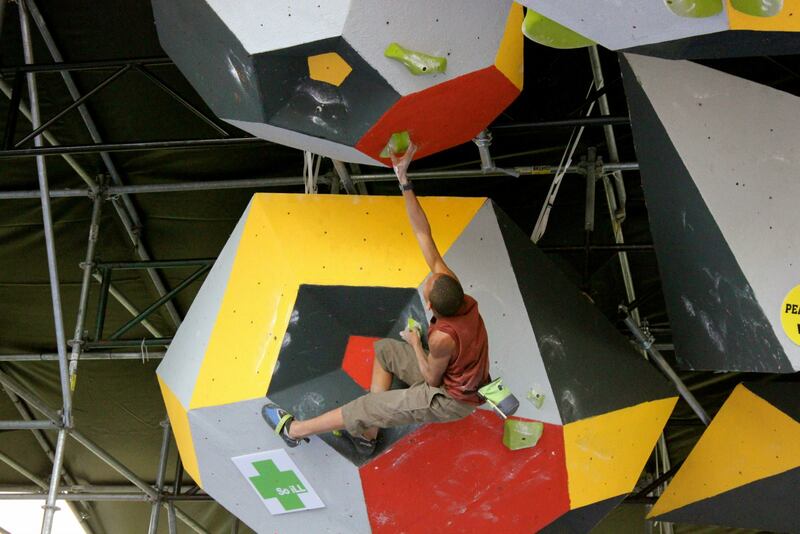 Sometimes that involved backing away from the route and practicing using the holds causing the most problems. Other times he would think through a different sequence and attempt the route again. Kai HATED the process of me making him relive (and discuss his failure) until he could develop a new plan. Today, Kai likes to record most of his tough outdoor route attempts and competition climbs. He asks me to sit down with him each time and critique his climb. He searches for ways that he can make his climbs more efficient and fix problems he encountered. Whenever he gets comfortable at one level, he increases the challenge. He always expects to struggle initially, exposing new weaknesses, and then he works to fix them. As parents, we all struggle to teach our kids valuable lessons (like these). It’s much easier to teach them life skills if you are able to “sneak it in” and incorporate the lessons through things they actually care about. One of the best things about climbing is the fact that everything is relative. Whether your kid climbs 5.8 or 5.14, goal setting, discipline, learning to deal with failure, and balancing priorities, are all essential pieces to progressing in the sport. The climbing community provides incredibly supportive environment for our kids to learn and grow.